Welcome to Casa Del Sol. Completely restored. This beautiful property is a complete renovation done by an acclaimed local artist. Inside you have brand new plumbing, new AC, kitchen, roof, flooring, wine room, 3 car garage, rare wood burning fireplace w/ hand cut stone from Jean NV, patina finished beams. 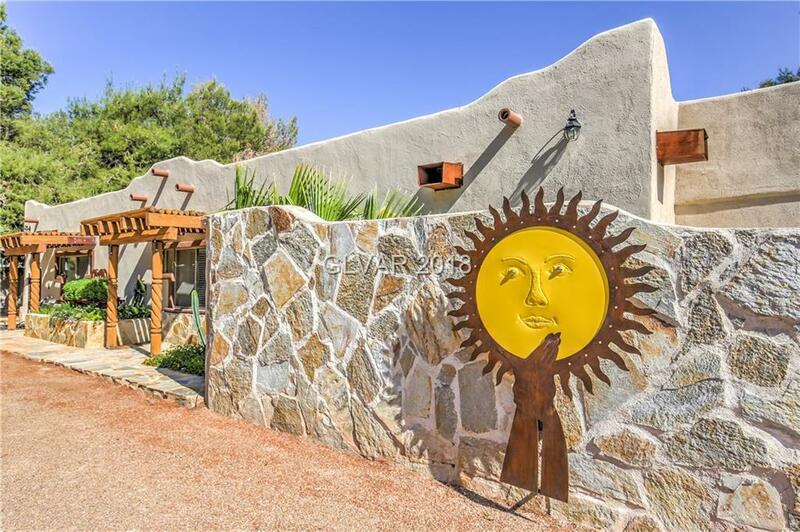 Outside you have a pool, 2 casitas, full outdoor kitchen, tack room, horse property.